The late summer crowds packed into a humid Pier Six Pavilion on Wednesday for a night of classic rock jams as co-headliners Gregg Allman and The Doobie Brothers brought their high energy music to downtown Baltimore. 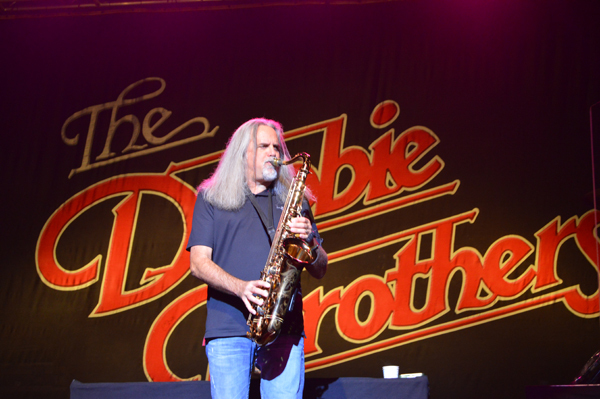 Both bands came out swinging, with a three and a half hour show full of hits and treasured nuggets for the gathered faithful. The evening began with a four-song mini set by country music artist Ruthie Collins which included a sweet cover of John Denver’s Country Roads and a lively Trainwreckin’. 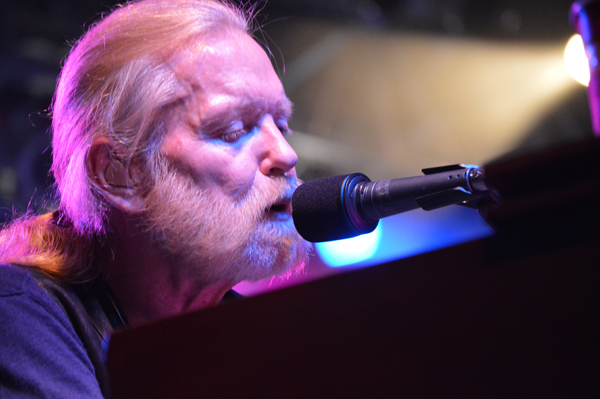 Gregg Allman followed with a 12-song set that balanced his solo work with a collection of Allman Brothers Band classics along with a few covers. High points of the gig included a fairly standard working of his biggest solo hit I’m No Angel and plaintive version of Melissa, and a lyrically powerful Midnight Rider, all of which got great response from the crowd. The set closed with a somewhat reworked version of the Allman Brothers Band tune Whipping Post, played at a faster pace and bouncier tempo than the studio version, which came off a little weird given the songs desperate lyrics. 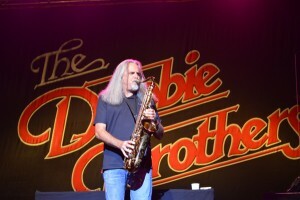 The encore Southbound featured two of the Doobie Brothers – Patrick Simmons and John McFee – joining Allman’s band onstage. 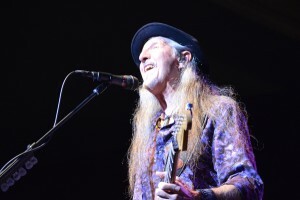 The Doobie’s lineup, featuring original member Patrick Simmons (guitar/vocals), Tom Johnson (guitar/vocals) John Cowan (bass/vocals), Bill Payne (from Little Feat, filling in for Guy Allison and on the keyboard and vocals), Marc Russo (saxophone) and drummers Tony Pia and Ed Toth followed Allman’s band with a 13-song tour of their huge catalog that began with Jesus is Just Alright and kept mixing in the band’s hits with some of the lesser known tunes. It’s hard to pin down a high point of the set with so many hits popping, including Rockin’ Down the Highway, Takin’ it to the Streets, Black Water and Long Train Runnin’. I found myself saying “oh yeah, that’s theirs too” all night. The music was tight and the communal choruses captured well the sound that made them FM radio staples since the 70s. Throw in a cover of Sonny Boy Williamson’s Don’t Start Me Talkin’, a big bluesy number for good measure, add a two song encore of China Grove and Listen to the Music – with an audience chorus – and you had the recipe for a pretty fun, sing along/dance along concert under Baltimore’s biggest tent. 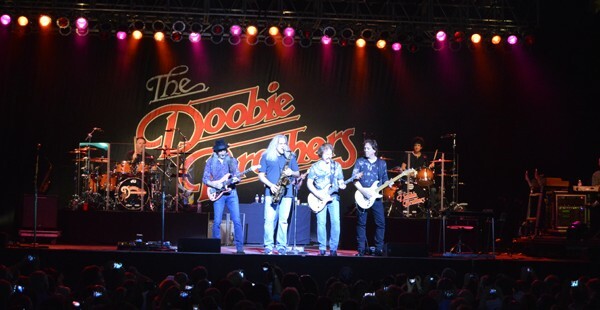 If you missed the show, The Doobies will be back in Maryland for the Ocean City Bikefest on Sept. 19. 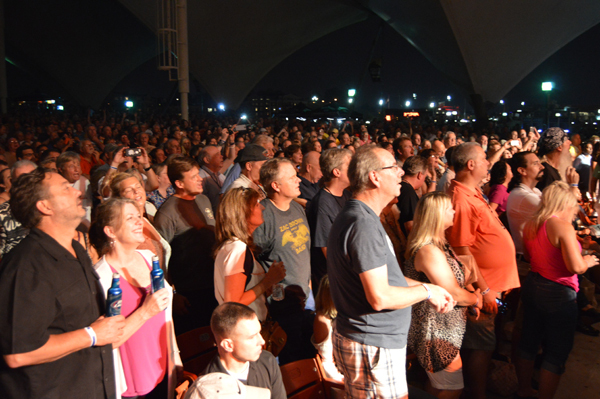 Fans packed Pier Six Pavilion to see Gregg Allman and The Doobie Brothers on Wednesday night. That takes me back. “Don’t Want You No More” and “Not My Cross to Bear” really make seeing Gregg Allman worth the price of admission. And then all the Doobie hits. Must have been a great show.